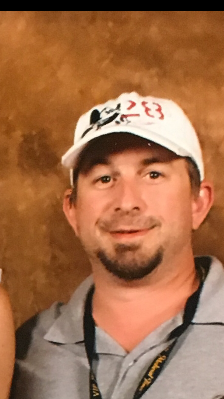 Kyle Pehrson, age 40 of Dothan died early Thursday morning April 4, 2019 from injuries he sustained in a motor vehicle accident. Services for Kyle will be held at 7PM Wednesday, April 10, 2019 in the Chapel of the Angels at Family First Funeral & Cremation Care with Reverend Joey Hudspeth officiating. The family will receive friends from 5PM until service time at the funeral home, with refreshments being served. In lieu of flowers, an Educational Fund is being set-up for the children and will be announced by Family First Funeral & Cremation Care. Kyle was born in Allison Park, Pennsylvania to Richard Pehrson and the late Gayle Marie Mitchell. He spent most of his youth in Thomasville, Georgia, and a short time in Chicago, IL before settling in Dothan. He has lived here for the past 15 years with his children, to whom he was very devoted too and worked for a number of years with Nucor Tubular Products in Cedar Springs, Georgia. Kyle is survived by his father, Richard Pehrson of Efland, NC; his three children, Andrew Shane (age 13), Alyssa Rain (age 15) and Brandson Garrison (age 17), all of Dothan; a half-sister, Gimette DeLaughter of Atlanta, GA; a step-sister, Erin Fisher and family of Winston-Salem, NC; and uncle, Tom Mitchell and family of Griffith, IN; a aunt, Joanne Mithell and family of Knox, IN in addition to several cousins. The Pehrson family would like to offer a special thank you to Nucor Tubular’s HR Manager, Aubrey Harmon for all of her behind-the-scenes work on details concerning his work; Plant Manager, Greg Rappillard for enabling co-workers to attend the service in honor of Kyle and Chester Webb and his family for all their deep friendship and caring assistance both before and after Kyle’s passing. Care for the Pehrson family is being provided Jason Shepard, Randy Crenshaw & Staff at Family First Funeral & Cremation Care.